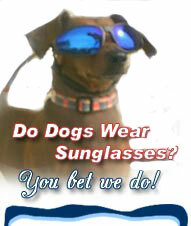 Welcome to Doggie Shades - Dog Decals for Your Window! High quality Vinyl Window Decals to show your dedication to your Best Friend. Personalized Dog Window Decal. Click on the picture to see approximate size of actual decal. Choose your breed below. Dogs are listed in alphabetical order by breed. If you choose to personalize the decal with your pet's name, this will be done during the check-out process. Put your dog's name in the contact box. Please be sure to check for the correct spelling of your dogs name. Don't see your specific breed? You may want to check out other breeds with a similar profile. If you still can't find what you want, be sure to contact us. If we get enough requests for a certain breed, we may add it.